This Very Clever Boy patiently waited for help from the right place when he got separated from his humans. When Hank, a pup hailing from Florida, managed to leave his family home in the dark he had a pretty great solution to being very lost. Along the journey to find his way back home, Hank stumbled upon a police car. 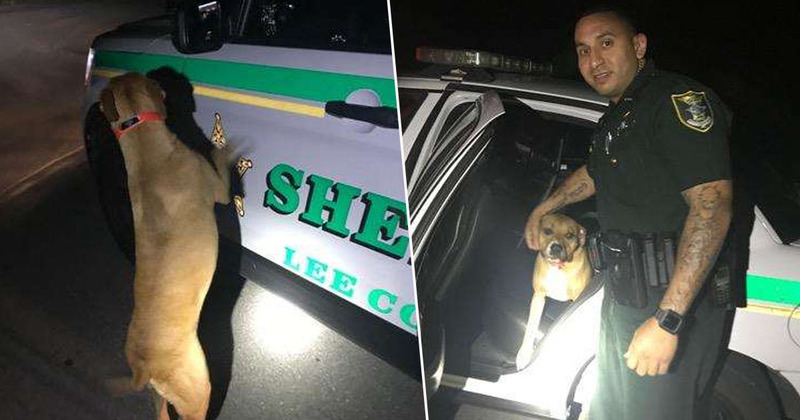 The cop car belonged to Deputy Soto and Sergeant Rose, of the Lee County Sheriff’s Office in Florida but unfortunately, they were both out on a call. So, Hank set himself up to wait for the return of his valiant uniformed saviours. After an untold amount of time, eventually Hank was rescued by the cops. As he appeared to be a little lost, the cops really took Hank – who they identified from his collar – under their proverbial wing. The dog was immediately happy to see the officers, they told The Dodo, and it almost seemed as if Hank had been waiting for them to help him. 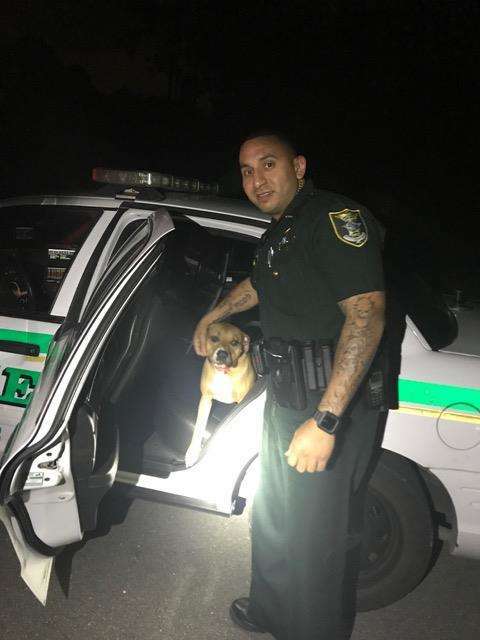 Deputy Soto thought that the dog, named Hank according to his collar ID, might be hungry. [He] gave Hank the last of his dinner. He opened the rear door of his patrol vehicle and Hank jumped in. The owner was not aware that Hank had gotten out. It seems the doggo had a very wild adventure, and even enjoyed a little ride in the backseat of the police car. Maybe his spirit animal is Deputy Dawg.